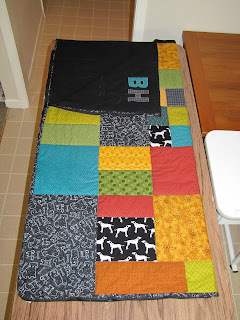 My nephew Bryan's boys, Brett and Davis, were born before I started quilting so I never made baby quilts for them. I was thinking about what I could make that they could use and enjoy for a few years to come. 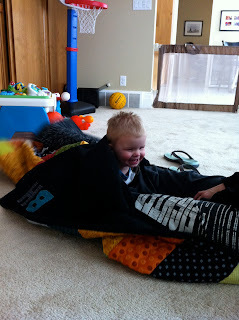 Sleeping bags! I used a free online pattern from Valerie Wells as a guide for the layout, resizing the blocks to make the finished bag x . The same fabric was used for the bags. I just changed the placement of the various fabrics. 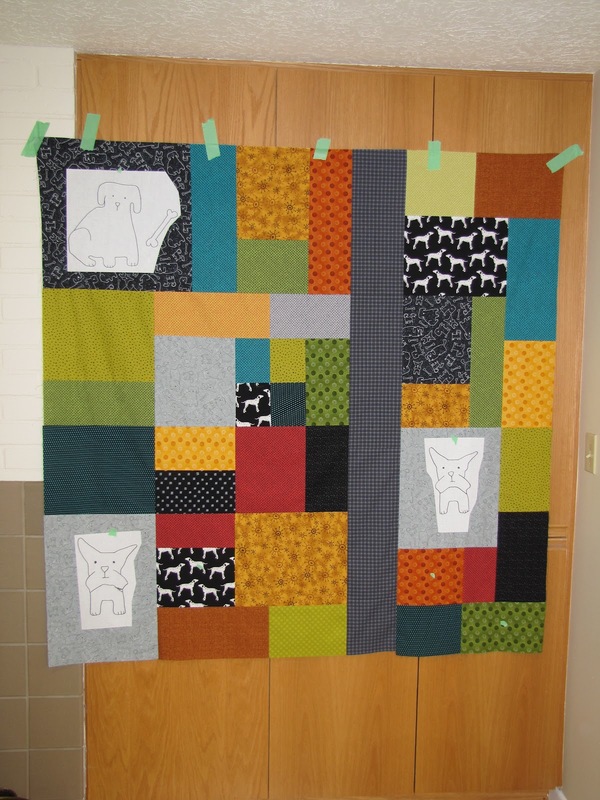 Once the sandwich was made (top/ Hobbs wool batting/black flannel) I quilted around each rectangular block. I added a bit of quilting in selective blocks, mainly the larger ones to help keep things together. The zipper was installed so the bag could be fully opened and used as a blanket. In early January, Daniel and I headed to Colorado where he was moving for his new job. Enroute we stopped at Bryan and Julie's in Salt Lake City and delivered Brett's bag. He seemed to really like it and spent a good deal of time insisting that Julie "get in!"